THRIVING CENTER: Downtown is the thriving center of business and community life, creating economic prosperity for the entire region. WELCOMING PLACES: Downtown is beloved for diverse and engaging parks, places and experiences that attract and welcome everyone. 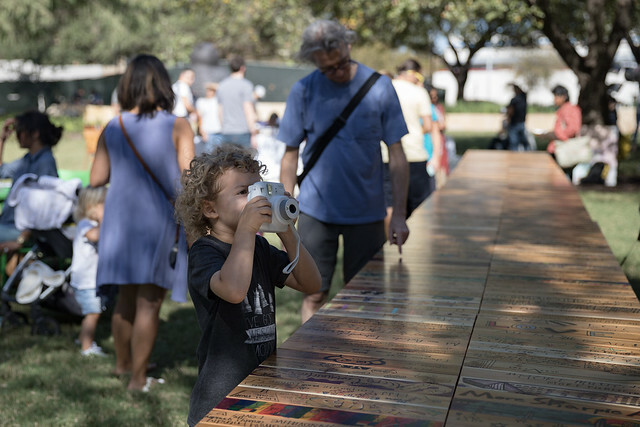 GROWING NEIGHBORHOODS: Downtown is a growing and ever-evolving tapestry of complete, vibrant and walkable neighborhoods and districts that express Austin’s authentic character—history, art, music, nature and culture. LEADING MOBILITY: Downtown is the leader and champion of innovative urban transportation alternatives. The Vision instills a broad sense of ownership and urgency around shaping the next era of downtown and provides everyone a clear and direct compass to point downtown in the right direction. Download report on focus groups and key leader interviews from Group Solutions RJW. Download engagement report on The Community’s Table events from Public City. Download report on community survey results from M. Crane & Associates, Inc. The Downtown Austin Vision was initiated by the Downtown Austin Alliance and guided by a 20-member Steering Committee. The committee members provided leadership, guidance and a diversity of expertise throughout the visioning process. They actively reviewed research, engaged in thoughtful discussion, listened to the voice of the broader community, and eventually adopted a vision and strategic priorities for shaping the future of downtown Austin. David Bodenman, Highland Resources Inc.
Tim Hendricks, Cousins Properties Inc.